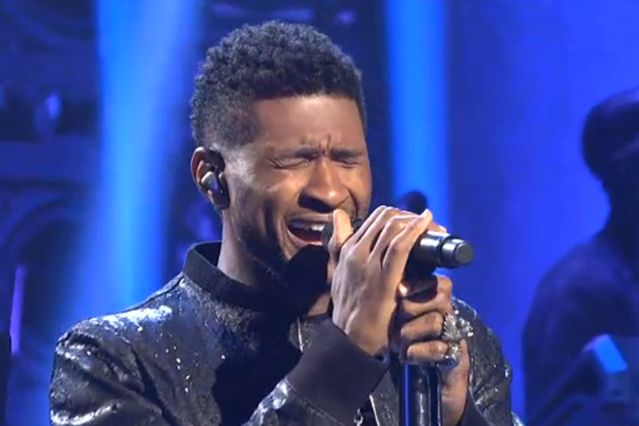 Usher made the most of his appearance on Saturday Night Live over the weekend, as the silky-voiced singer gets set to release his seventh album, Looking 4 Myself, on June 12. The man born Usher Raymond IV performed his recent R&B chart-topping “Climax” and its trance-pop follow-up single, “Scream,” as expected, but he also showed up in a star-studded digital short, plus a sketch involving a debate for mayor of Funkytown (wait, and here we were worrying about the fate of Parks and Rec? ).